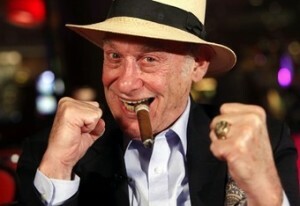 With Cuban boxers grabbing the public’s attention, I would like to tell a story (or two, actually) that I really like. 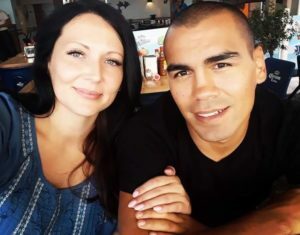 A story related to Mexico in a different way than the usual rivalry. A nation adopted two boxers, who were born and raised elsewhere, and cherished them as their own. The stories of none other than José Nápoles and Ultiminio Ramos. Cuba has thousands of active boxers, which come down to a twelve-man Olympic team. With professional boxing banned, it’s no surprise Cuba dominates the AIBA-sanctioned amateur competitions like the Olympic Games (and its regional counterparts), as well as the Amateur World Championships. More recently, they have found further success in AIBA’s “semi-professional” boxing modality, the World Series of Boxing. A quick look at history: boxing was first forbidden in Cuba from 1912 to 1921 due to claims of causing street violence, only three years after hosting their first professional fight. Once it was given a chance, the sport’s popularity grew with each passing year. Fast-forward to 1959. Long story short, the Cuban Revolution takes place, Fulgencio Batista is overthrown and replaced with Fidel Castro. By this time, Cuba had national boxing heroes like Kid Gavilán, Kid Chocolate and Benny Paret. The latter won a world title in 1960. But in 1961, the government banned professional boxing. It’s been over 50 years since professional boxing was officially banned in Cuba. Cuba has had 67 Olympic medals, and only about 16 professional world champions.Despite the highs and lows, Cuba and boxing seem to go like bread and butter. And speaking of butter, this is where the story really begins. 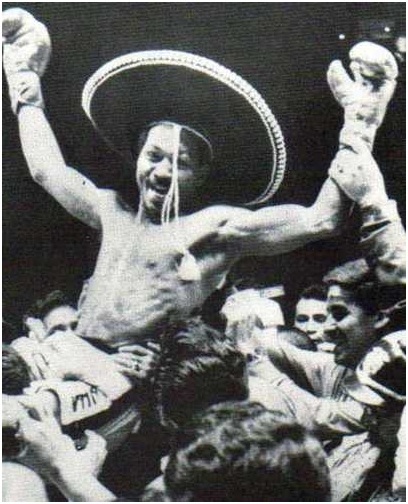 Lovingly nicknamed Mantequilla (Spanish for butter), José Ángel Nápoles is arguably one of the best welterweights of all time. Born in Santiago de Cuba, he is said to have fought an amazing 475 fights as an amateur, losing only five. 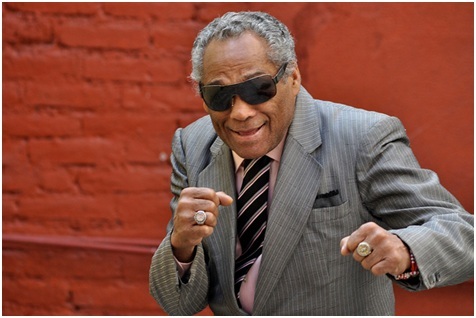 Even seasoned American boxing writers think he earned the nickname for his “smooth” style. The truth lies in a well-known anecdote that had surprisingly not been translated: the nickname actually belonged to his brother, who was also a boxer. In the earliest days of his career, he was called “el Minino”. On his debut, he was accidentally announced with his older brother’s nickname and it just stuck. Pretty smooth, indeed. Nápoles made his professional debut in 1958. He had put together a record of 20-1 fighting in La Habana, but the aforementioned ban put his career in jeopardy. He defected to Mexico and was fighting in its capital city by the following year. Nápoles quickly grew in popularity with the Mexican crowd, which had grown fond of Mantequilla and decided to take him as one of their own. After many great performances, he received a big opportunity: a fight with Curtis Cokes for the WBC and WBA world welterweight titles. They fought at the Forum in Inglewood, California. Cokes didn’t come out for the 14th round. The new world champion dedicated the victory to Mexican president, Gustavo Díaz Ordaz. Ordaz personally called Mantequilla to congratulate him and offered to give him a luxurious gift like a car or even a house. Nápoles replied: “none of that, Mr. President. I want to be Mexican”. Within less than twenty-four hours, Mantequilla got full Mexican nationality. Politics finally worked in his favor for a change. 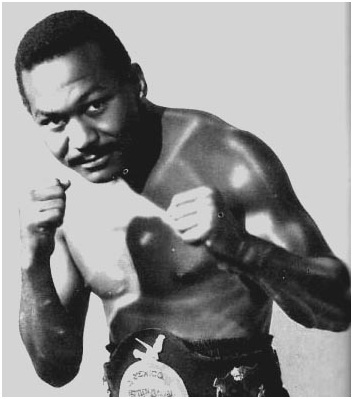 He later defended his title by beating Cokes again in an immediate rematch, Ernie “Indian Red” Lopez and Hall-of-Famer Emille Griffin. He lost his title to Billy Backus because of a bad cut over the eye, but came back to regain his belt only months later. He successfully defended his title thirteen times. In 1974, however, he jumped to middleweight, which experts agree was a mistake, to challenge Argentine star Carlos Monzón. He lost in the seventh round. Legendary Argentine writer Julio Cortázar wrote a short story about this fight. Still, he had become a national figure in Mexico. 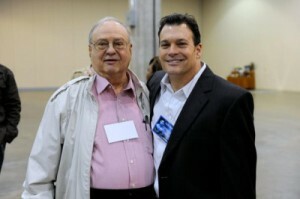 Mexican boxing fans love and respect Mantequilla to this day, and give him a rightful place in Mexican boxing history. 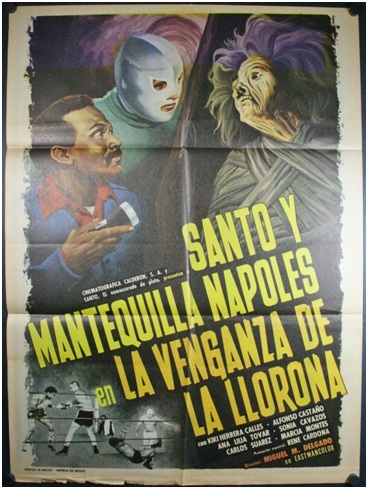 He even got to co-star a movie with Mexican wrestling legend and hero, El Santo. Nápoles retired in 1975. He compiled an impressive record of 77-7 with 64KO’s.Sadly, he liked to gamble and made wrong choices with the money he had. He endured some harsh economic conditions, for which he received support from the WBC,and currently lives in Ciudad Juárez. He was inducted into the International Boxing Hall of Fame in 1990. Now in his seventies, Mantequilla runs a small boxing gym. By the time Nápoles arrived to Mexico, the great announcer-turned-promoter CucoConde and trainer Kid Rapidez were already working with a small team of Cuban boxers. 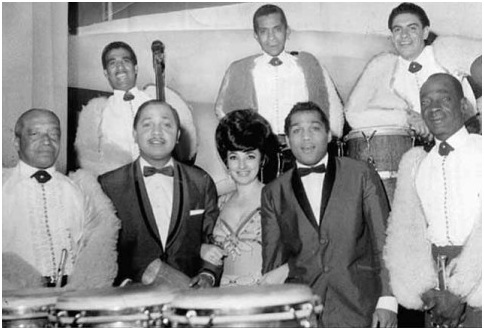 In this team was Ultiminio “Sugar” Ramos, who had arrived at the age of eighteen. Famous Cuban champion José Legra was also in the team, but he decided to go to Spain.Although he was a feather weight, it’s said Ramos and Nápoles used to spar often.The two Cuban-Mexican legends remain great friends. Ultiminio Ramos, nicknamed Sugar was born in Matanzas, Cuba (Matanzas is Spanish for killings). 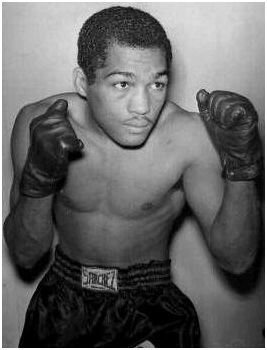 With over 100 amateur bouts to his name, he started as a professional in 1957 and won the Cuban flyweight title in 1960. He started his career with a 34 fight unbeaten streak. With Castro in power, he fled to Mexico and never looked back. When he wasn’t in the gym, he would spend time on his other passion: music. He sang and played the bongos, and led several groups, one of which was called The Sugars. Though not as charismatic off the ring as his friend, Ramos was one of the fiercest competitors in his division. He beat excellent boxers like Mitsunori Seki and Floyd Robertson, and even faced the magnificent Vicente Saldivar in one of his greatest bouts. Unfortunately, his most remembered fight is one that haunts him. In 1963, Ramos had the chance to face defending champion Davey Moore for the WBC and WBA world featherweight titles. Moore had a good record, so a close fight was expected. But it wasn’t. Sugar beat him up and knocked him down in the tenth round. Moore’s head bounced off the bottom rope. 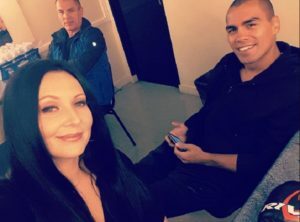 After giving an interview, Moore collapsed in his dressing room and fell into a coma. Shocked and horrified, Ramos visited Moore at the hospital and saw him die. Ramos was devastated. Davey’s mother encouraged Sugar to keep boxing. The accident was all over the news. Even the Vatican released yet another statement against professional boxing. This prompted boxing to change rules and add a fourth rope to the ring as a safety measure. Bob Dylan wrote a song about it, called Who killed Davey Moore. He was even discharged for murder by the Judiciary of California. When he returned to Mexico, he was received with affection. But Sugar’s pain was huge. While still in Cuba, he had fought José “Tigre” Blanco in his twelfth professional fight. Blanco died of injuries he had sustained after a knockout in the eight round. Ramos was only seventeen years old. From that day on, he could never sleep alone, and had nightmares for years to come. Ramos retired in 1972 with a record of 55-7-4 with 40 KO’s. 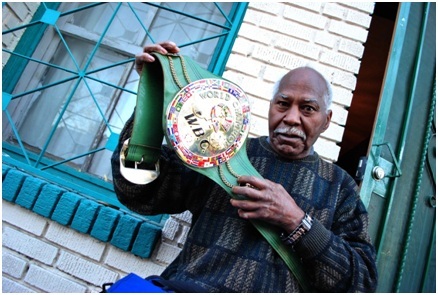 He was inducted into the International Boxing Hall of Fame in 2001. These two great boxers lived unforgettable days of glory, and terrible hardships. Two men with two countries in their hearts. Stories like this have not happened again in Mexican boxing. Olympic gold medalist Yuriorkis Gamboa has claimed to want to follow their footsteps, but who knows… there’s a lot involved in defending a foreign flag. All one can say is Mexico will continue to love those willing to fight for it.